WHAT ARE LAWYERS DOING TO CHECK THE EXCESSES OF THE NIGERIAN POLICE?. Segun Awosanya more popularly known as ‘Segalink’ is a social media personality that has over time come to be known as the ‘official’ liaison between the police and the common man. 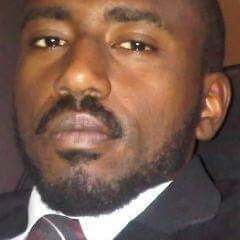 In campaigning rigourously against the inhuman treatment meted out to helpless Nigerians by the very police force supposed to be protecting them,he has mobilized Nigerians both on social media and off it to protest against the Nigerian police. The Police in an expected bid to salvage its image, had a sit-down with Sega and his fellow gladiators where it blamed the ‘few bad eggs’ in the force for the ill-treatment of Nigerians. As an outcome,police helplines were made public via which oppressed persons could report incidents of extortion,brutality and victimization. As of today, Segalink is beseiged daily by numerous calls for help on his twitter page and has resolved countless cases of extortion or wrongful arrest by reaching out directly to the Police. Segun Awosanya is not a lawyer but he has stuck his neck out for justice and due process more than any lawyer in Nigeria. It is shameful that the man has devoted massive time and money to fighting a grave societal ill which threatens the very foundation upon which our democracy stands while the Nigerian Bar Association which has “promotion and protection of the principles of the rule of law and respect for enforcement of fundamental rights, human rights and people’s rights” as one of its foremost objectives has done nothing other than ‘condemn and criticize’ occasionally. In most cases, only when one of its members falls victim. If oppression of Nigerians by members of the police force is not enough to spur Nigerian lawyers into action then i wonder what would. As it is,the integrity of the legal profession in Nigeria is in shambles. Our anti-graft agencies claim unrefutedly, that the Chief Justice of Nigeria had about a billion naira stashed in his bank accounts at some point and the bar President is being tried for corruption by the EFCC. The NBA’s response was to declare the EFCC a ‘third party’ with no ‘locus standi’ in a matter where he is alleged to have received illegal money instead of urging him in the interest of transparency and accountability to clear his name under the exception to attorney-client privilege in the Rules of Professional Conduct. It was agonizing to watch the leaders of the bar assemble to interprete the law in a way even a first year student wouldn’t. Much good isn’t expected of the NBA. But thankfully, the NBA never was and never will be a one,two or three man show. It is a body of Nigerian lawyers and as such,we owe it to ourselves and the society at large to ensure that the excesses of Nigerian police officers are checked. The many calls for police reform hasn’t yielded the desired result and it behoves on us to chart a new course. One in which the NBA will play a very critical role. About 90% of the videos of police men infringing on the rights of helpless Nigerians emanate from Lagos state and the 5 branches of the NBA there should as a matter of paramount importance,set up committees to institute pro bono actions against the police on behalf of victims. Lawyers cannot be silent while the issue of incessant human rights abuse is front-burner. Considering the problems encountered in enforcing monetary judgements against the police particularly ones posed by the current situation where all security agencies have their money in the Treasury Single Account and Section 84 of the Sheriff and Civil Processes Act which stipulates that the AGF must approve judgement sums before they are paid, these cases are better prosecuted by the NBA as a unit. Why? Because there is a much better chance of attracting the attention of the public to a refusal to comply via the media and protests. No sensible government would want the citizenry revolting against it for promoting oppression by law enforcement agents. The best way to make the police put its house in order is to make it start to lose money to its victims or at the very least, know its excesses have a direct effect on public perception on government as a whole. The National NBA in addition to urging all branches across the federation to set up pro bono committees for victims of human rights abuses by law enforcement agents, must also ensure it has a sit-down with the Attorney-General of the Federation regarding enforcement of judgement sums. Nigerian lawyers cannot afford to sit and watch lethargically while the whole country bemoans the excesses of the police. We must act now.